Perhaps one of our favourite hoodies. 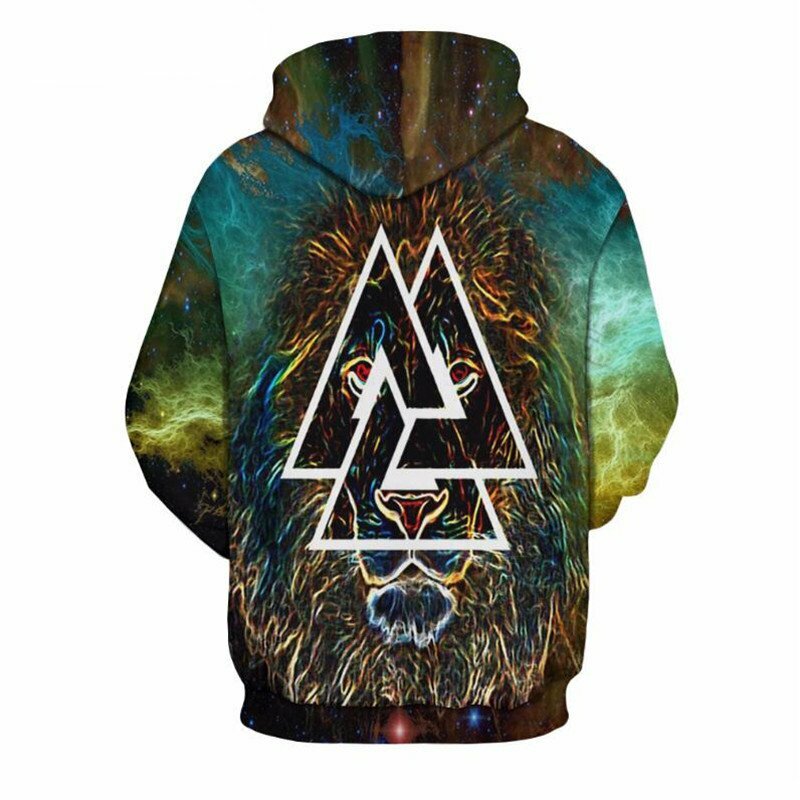 Stylish triangle concept on top of a green nebula lion background, the combination is epic. 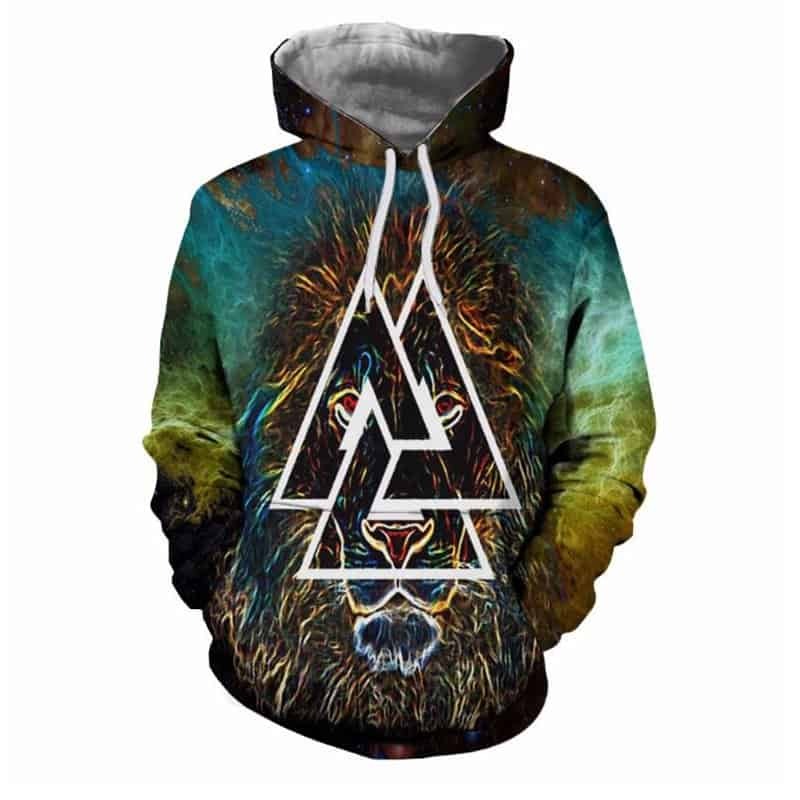 This Moss Lion Triangle Hoodie is a perfect addition to your hoodie collection. The hoodie is comfortable to wear, looks fashionable and is wearable anywhere. It was designed for both male and female.